Latest News: My previous film: "The Competitive Edge" will be screened part of the Centertown film festival just before "Office Space"! When? 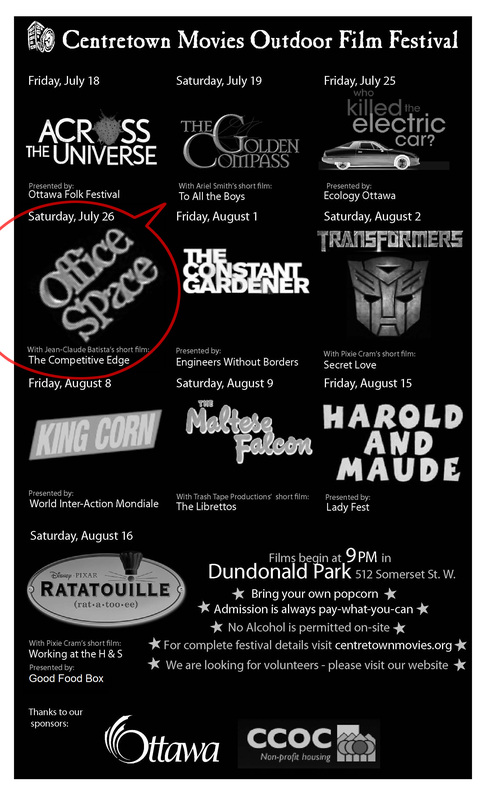 Saturday July 26th @ 9pm, Dundonald Park - 512 Somerset St. W. The Centertown Outdoor film fest schedule is available here. 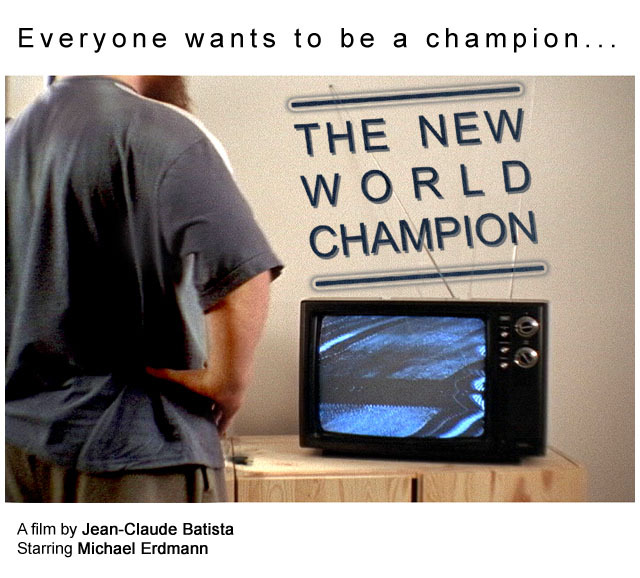 (Feb 5, 2006) my film "The New World Champion" got released! This film is about the never ending struggle that binds a man to his TV set or more precisely, how a man made some of TV's exuberant nonsense its own reality. Director's Bio: Jean-Claude Batista is one of Ottawa's emerging filmmakers who thinks that tormenting his own film crew is a lot of fun. He hopes to continue enjoying life in the foreseeable future. Film Credits: Micheal Erdmann (Main Actor), Louis-Philippe Gagnon (Assistant Director), Roger Wilson (Lighting) and many more! Screenings: This film will be screened part of IFCO's Winter Gala on Feb 11, 2006! Click here for more info.